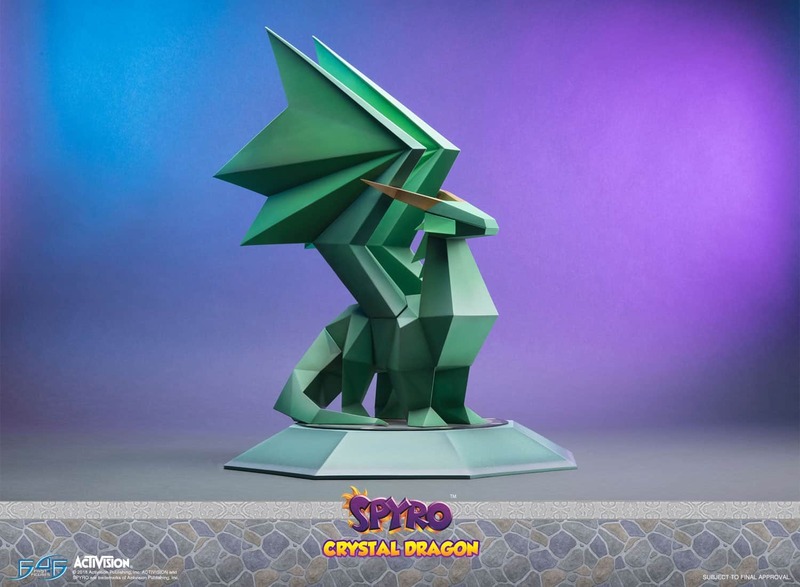 Spyro the Dragon Crystal Dragon Statue was just announced by first4figures in their new line of playstation classic games. 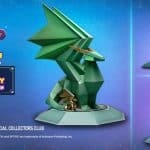 F4F has been focusing on Classic Playstation titles as many gamers hold them dear to their heart, and a game like Spyro, fits in that spot. 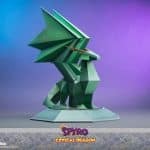 First 4 Figures just announced the preorder for their newest released which is for Spyro the Dragon Crystal Dragon Statue. 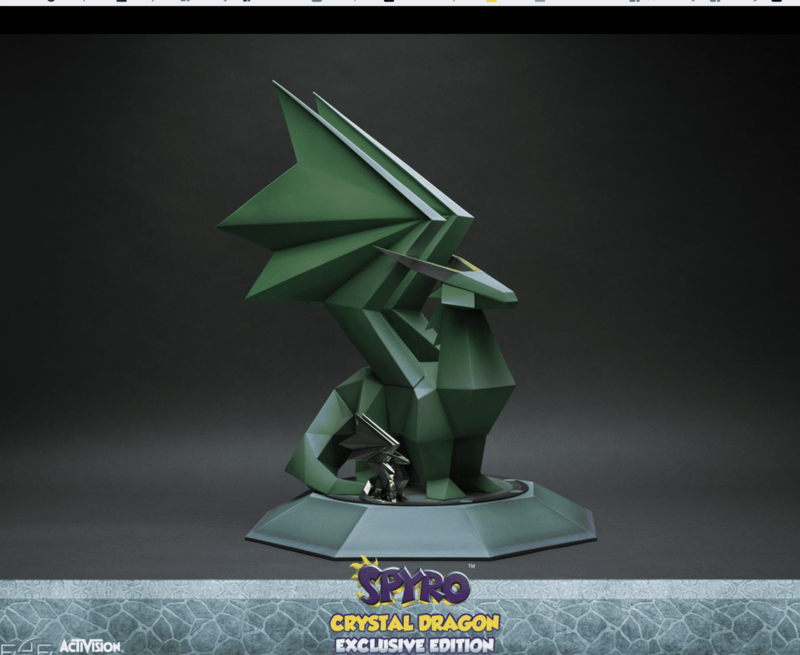 There’s 3 models of the statue. 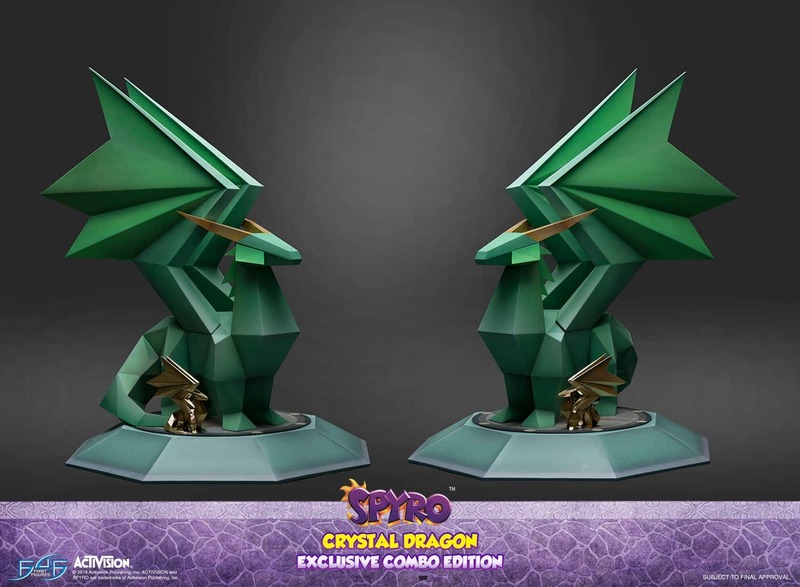 The Regular Edition is just the Crystal Dragon Resin Statue in a basic form. The regular version has multiple shades of green and that’s it. 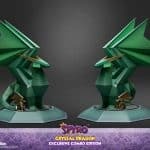 The Crystal Dragon Exclusive Edition statue has a mini golden dragon. 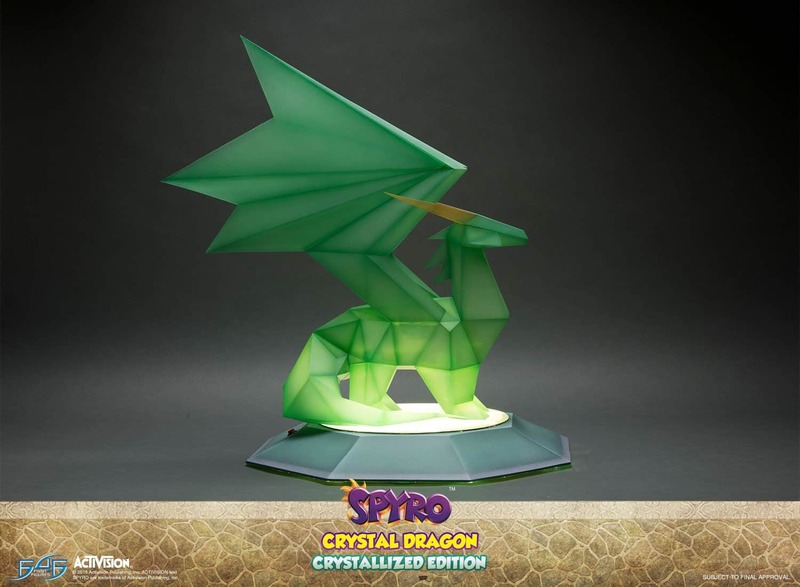 The Crystallized Edition has a translucent effect. 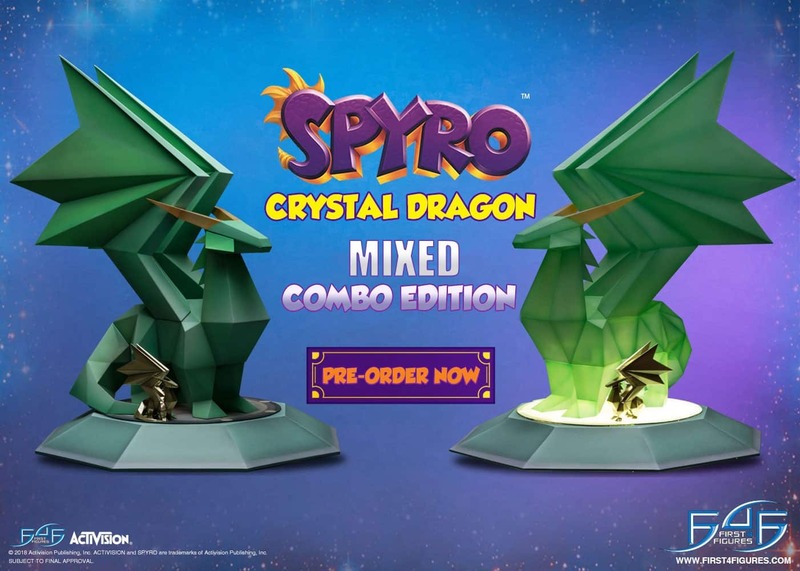 Both the Exclusive and Crystallized version has an LED MODE which is always on and fully animated as well as a glowing base. They also both GLOW IN THE DARK which is extremely, extremely attractive to me and definitely a selling point. I mean common now, who doesn’t like anything that glows in the dark? 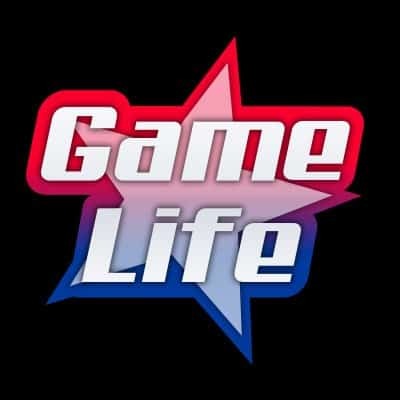 So 80’s, and goes so well with anything video game related. 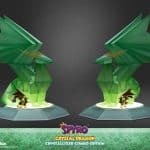 The dimensions of the Spyro statue for the regular edition are 22″ in height (56 cm), 17″ in width (43 cm) and 22″ diameter (56 cm). 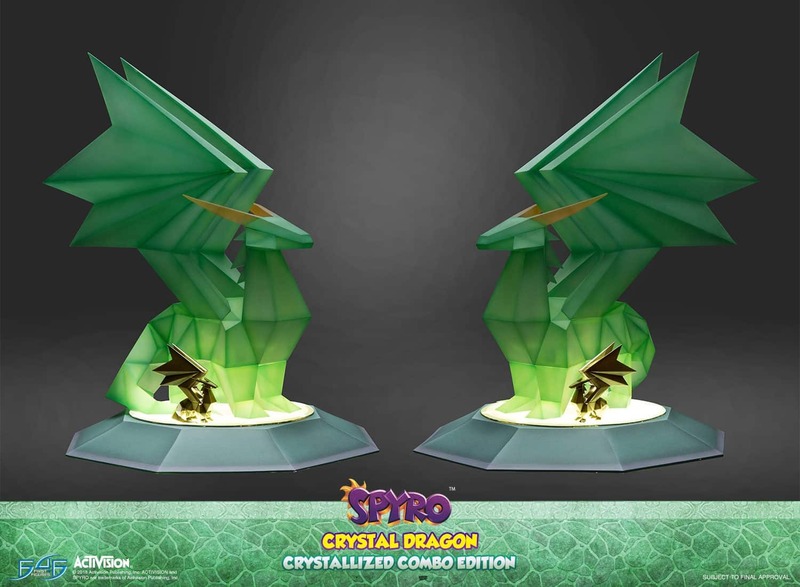 The dimensions for the crystallized edition are 22″ in height (56 cm), 17″ in width (43 cm) and 22″ diameter (56 cm) while the mini golden dragon is 4″ in height (10 cm), 1.5″ in width (3 cm) and 4″ diameter (10cm). A). 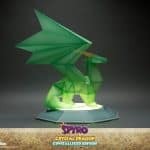 Join the First 4 Figures Official Collectors Club Facebook group. B). Like, comment on, and share their Facebook post about the statue. C). Filling out the contest giveaway form which asks for your first/last name and email. The contests starts on June 22nd, 2018 and ends on November 1st, 2018. There’s one limit per person and if you win the prize you have to agree to paying shipping charges (duh!). 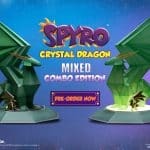 First 4 Figures has a *DAY ONE Edition* incentive to preorder on the first day of the announcement of their new statues. – an additional Signature Card signed by Alex Davis. – a DAY ONE Edition Hologram sticker. 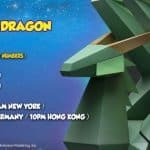 – PLUS – Extra F4F Reward Points# (Reward points are calculated based on the SRP of the item. 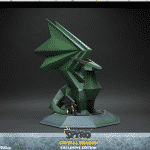 Example, for The Exclusive version, it costs $474.99 so it will be 475 reward points. 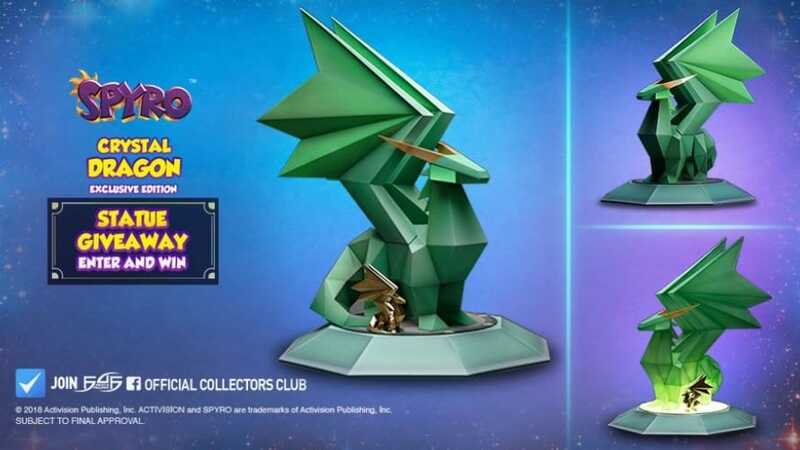 Pretty cool if you were 100% sold on the statue already, why not grab a bunch of awesome bonuses as well?